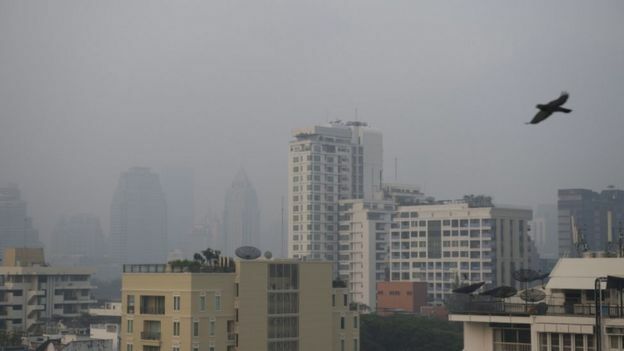 Toxic smog in Bangkok has caused more than 400 schools to close for the rest of the week, in attempt to protect children from its harmful effects. Thailand’s capital city is experiencing some of its worst-ever air pollution levels, caused by ultra-fine dust particles known as PM2.5, local report cited. 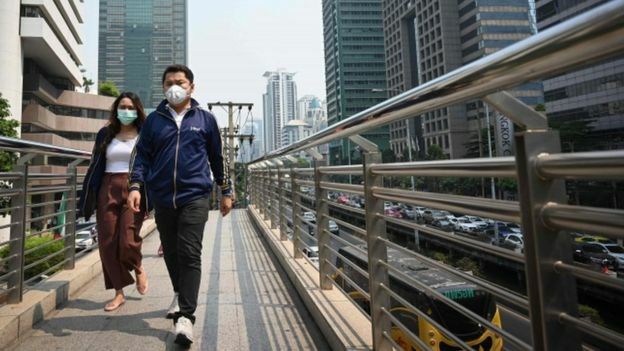 Reasons behind these prevailing smog are: Traffic exhaust, construction works, burning crops and pollution from factories are blamed for the haze. The Thai government has tried seeding rain clouds, reducing traffic, and hosing down streets, with little impact. Those celebrating the Lunar New Year holidays next week have been asked not to burn incense or light fireworks to prevent adding to the escalating toxic smog in the city. According to The World Air Quality Index project (AQICN), Bangkok’s Air Quality Index (AQI) is currently at around 170, making it “unhealthy”. But that still doesn’t match New Delhi, which is currently hovering around 390, a “hazardous” level of pollution. The government has already asked the public to not use cars to decrease the producing of smog in the city.